Attorney General Pam Bondi filed legal action against Dollar Thrifty Automotive Group for its billing practices involving toll fees and other charges to customers in Florida. The complaint alleges Dollar Thrifty misrepresents charges for cashless tolls as fines or violations, and bills customers a grossly-inflated fee for each toll incurred. 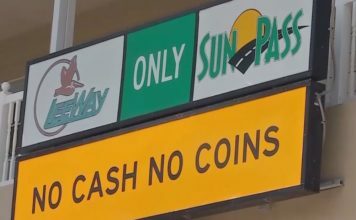 Dollar Thrifty charges $10 to $15 each time one of its rental car customers drives through a Florida cashless toll, and up to $105 during the course of a rental. Thrifty Car Rental is one of the largest car rental companies in the world and is a subsidiary of The Hertz Corporation with headquarters in Estero.